The announcement mentions that the price of Tosmare shipbuilding factory is EUR 2,163,163 with VAT. Property on sale includes two dry docks, one floating dock, as well as ship repair and construction equipment. On 9 August 2018, Kurzeme District Court in Talsi declared Tosmare shipbuilding factory insolvent. The company’s creditors, according to the latest information, have registered enforcement of debts worth EUR 4.16 million, including EUR 487,800 for secured creditors and EUR 3.672 million for non-secured creditors. In 2017, Tosmare shipbuilding factory worked with EUR 3.493 million, which is 31.7% less when compared to 2016. The company also suffered losses worth EUR 681,459 as opposed to profits earned the year prior. 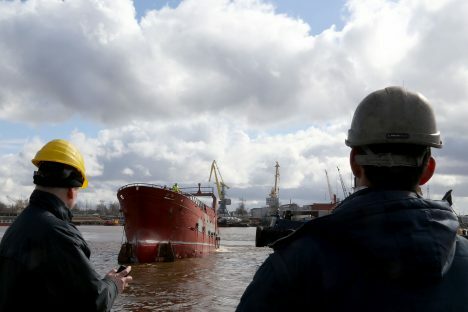 Tosmare shipbuilding factory’s largest owner is Riga Shipbuilding Company. The shipbuilding company was built in 1885-1890 to provide repairs of Russian war ships and boats.